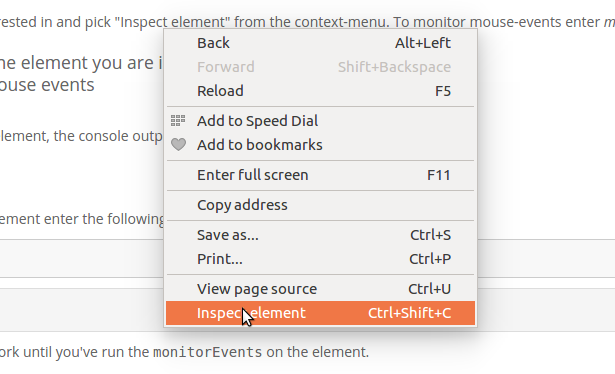 If you have a chromium-based browser you can find out what events are affecting a particular item on you web-page using the monitorEvents function. 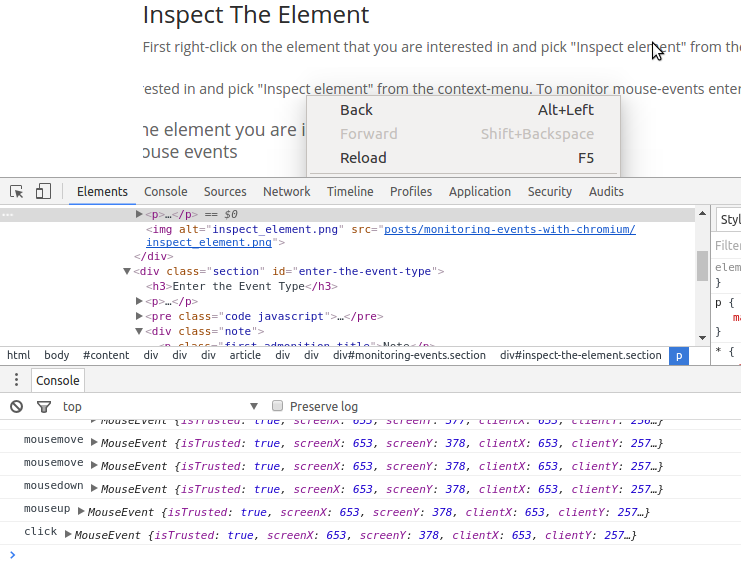 First right-click on the element that you are interested in and pick "Inspect element" from the context-menu. Now, as you do things with your mouse on the element, the console output will show you the the events as they happen. To see the event-listeners associated with the element enter the following at the console. The getEventListeners function doesn't work until you've run the monitorEvents function. Will monitor mouse-events for the headline to this sub-section.